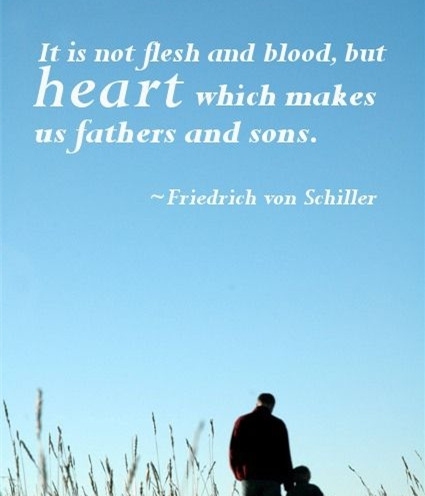 Sometimes, the relationship between a father and a son is harder to build than that between a mother and a son. 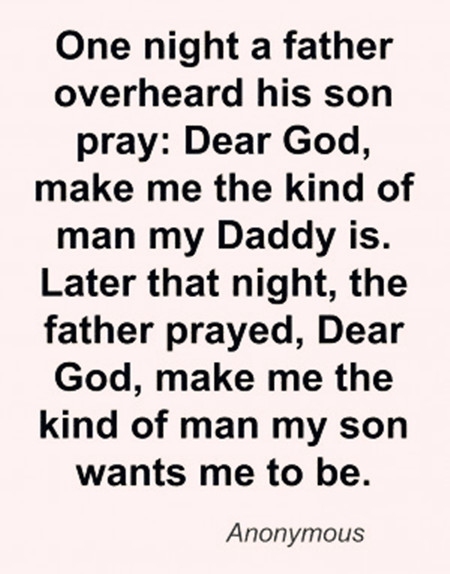 Very often a father gives money and buys presents for his son and thinks that he is doing what a good father should do. But investing money is not enough. A good father should also share his time with his kids and be a good example for them. Only in that way will his boy know that his father loves him, cares about everything he does and is really proud of him. These dad and son quotes show that building a better relationship is possible if you struggle to do this. Fathers always hope their sons to be successful. The understanding between two hearts is very important. It is a quote with love. Care and love are everything a little boy needs from his father to become a strong and self-confident man. Fathers always want their sons to be like them. A good father makes his son a partner. A love of a father for his son is very special. To some extent, the future of children depends on their fathers. Dad and son relationships have a great influence on the future of the kids. Fathers support us when we are young, and we should support them when they are in age. Nothing is worse than a situation when a father buries his son. The relationship between a father and a son is more delicate than we expected. A father has to teach his son about responsibilities. Every man should care about his family. Everything a father gives to his children will be passed on to the next generations. Deeds are powerful than words. 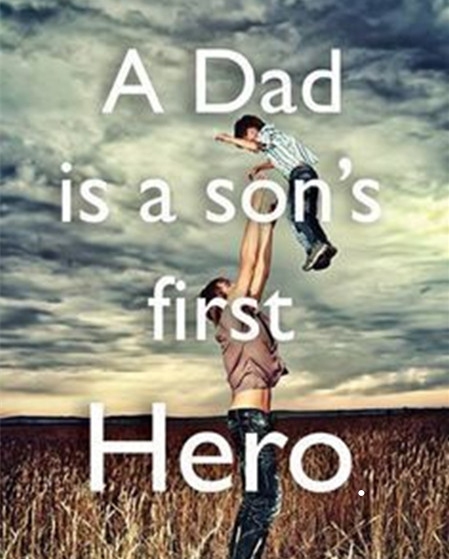 A father is usually the best and the most vivid example of his son. A father should always be proud of his son. Another one of our list of dad and son quotes wants to show that sons usually copy their fathers’ words and behavior in their future life. All in all, a boy will be like his father.